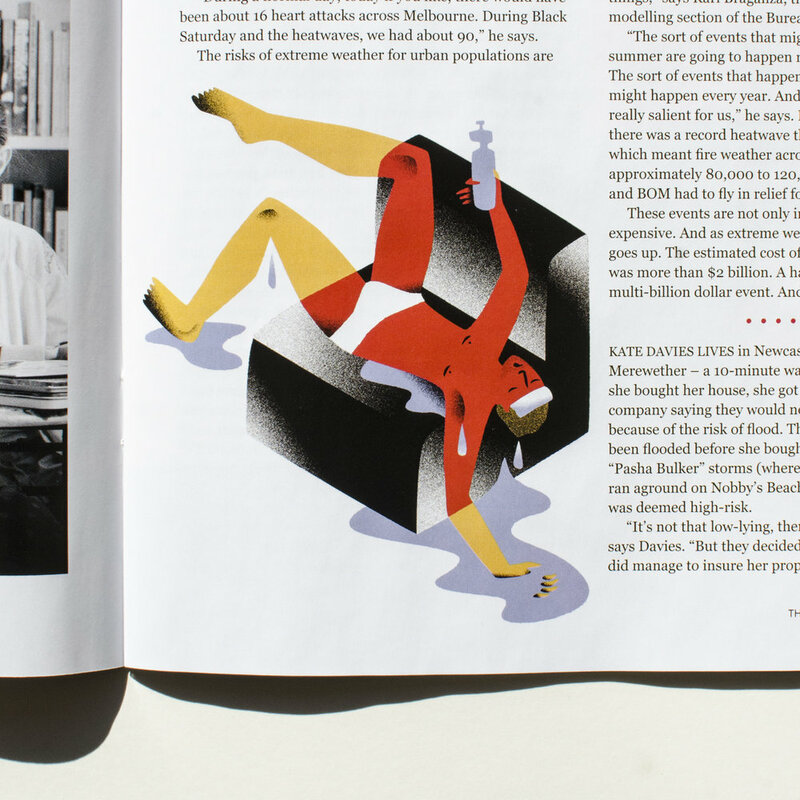 Editorial illustration for an article addressing the implications of global warming for urban Australia. 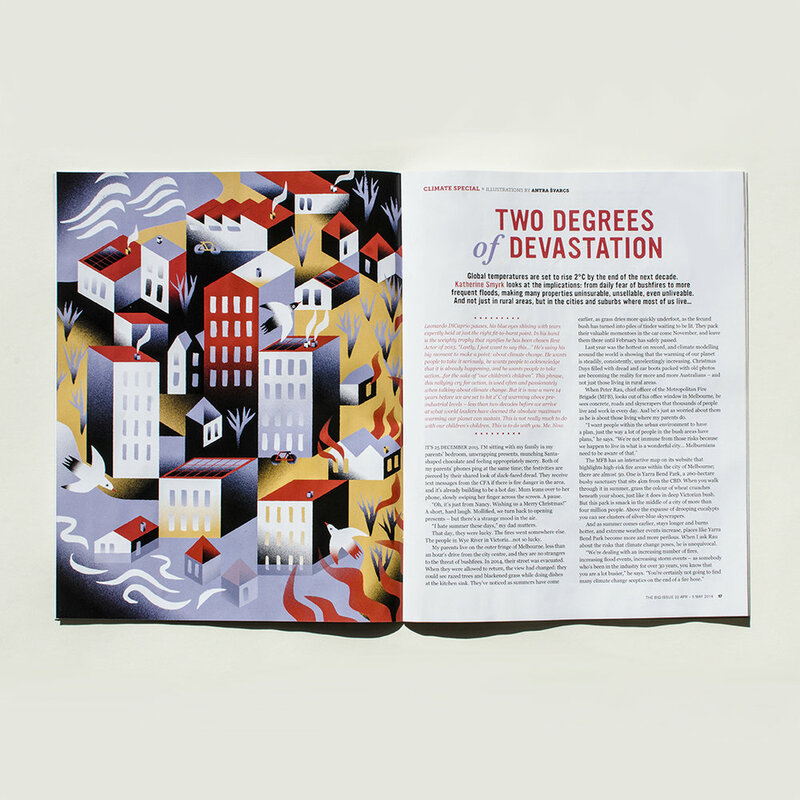 "Two Degrees of Devastation" can be found in The Big Issue no 510. Commissioned by Gozer.